Simplicity abounds with the buffed finish and simple, contemporary style elements of this medium rock spout jug. 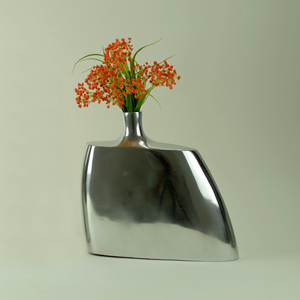 The aluminum construction of this accent piece is the perfect addition to any home. • Florals shown are not included.